Here's an eclectic line that pays homage to the modern-day bride and her entourage who are wanderers at heart. The unconventional fashion line titled 'Boheme Bride' by designer duo Sukriti and Aakriti Grover plays around a new-age ambience comprising ensembles crafted in organic cotton, woven from soya bean and latte fibre. Gorgeous gotta-patti work and ombré dyes adorn the silky fabrics. 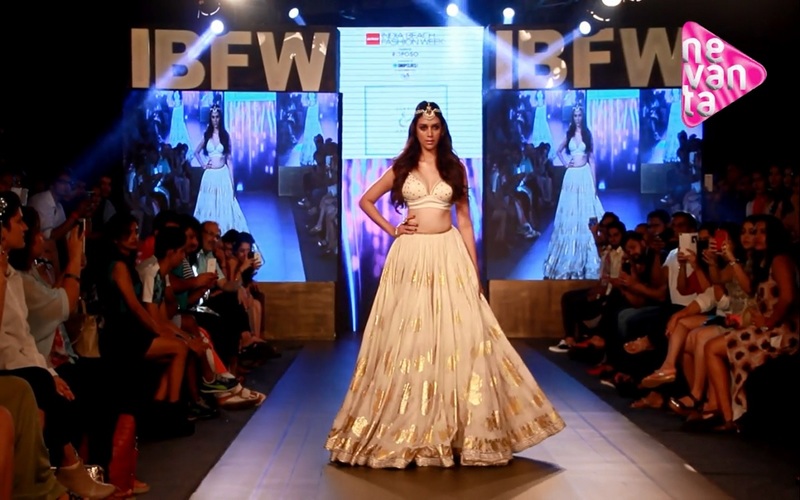 Putting an end to the show in style is Bollywood's young fashion icon Aditi Rao Hydari in cream lehenga with gold foil floral print, bikini top, accessorised by a maang teeka, haath phool and finger shield. 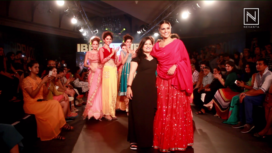 Catch the ravishing diva express her experience walking the aisles as a muse to the duo at the GIBFW'15!